You’ve seen it all on Instagram: travelers descending the bumpy spine of a dinosaur made of earth and grass, the perfect blue waters beneath it; ladies posing in front of an archway seemingly built atop the sea; endless blues and rocky landscapes amidst pink skies. 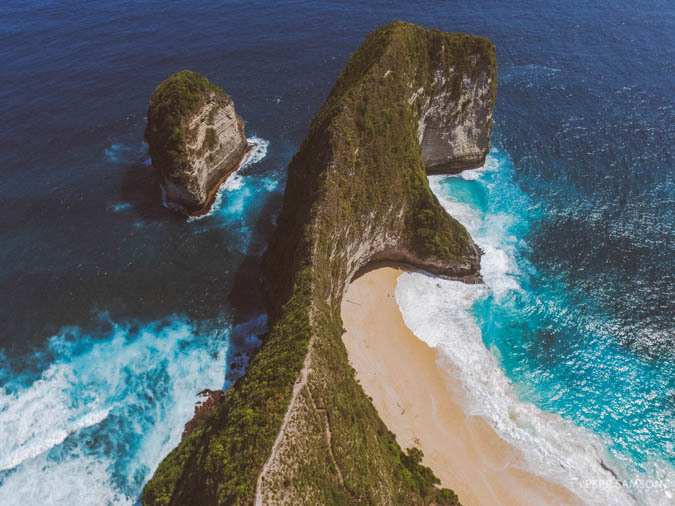 This is Nuda Penida—an extremely popular destination in Indonesia located southeast of Bali. Flocked by thousands of tourists daily, the island simply demands to be photographed! Everywhere you look, it’s beautiful. 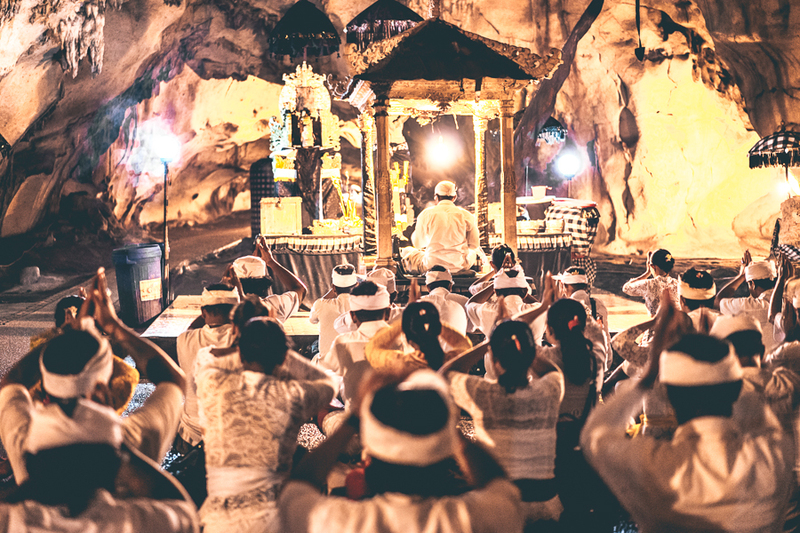 If you’re going to Bali, I am 99% certain that this island is in your itinerary. 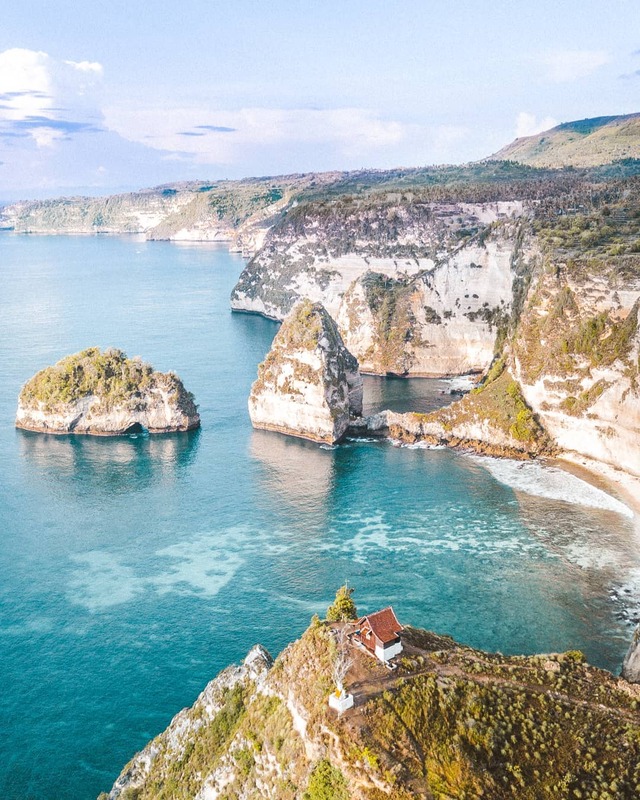 For me and my travel buddies, Nusa Penida is definitely a must-see not only because it is photogenic and Instagram-worthy, but also because we need our dose of nature and outdoors—and where better to find this than in this part of Indonesia! 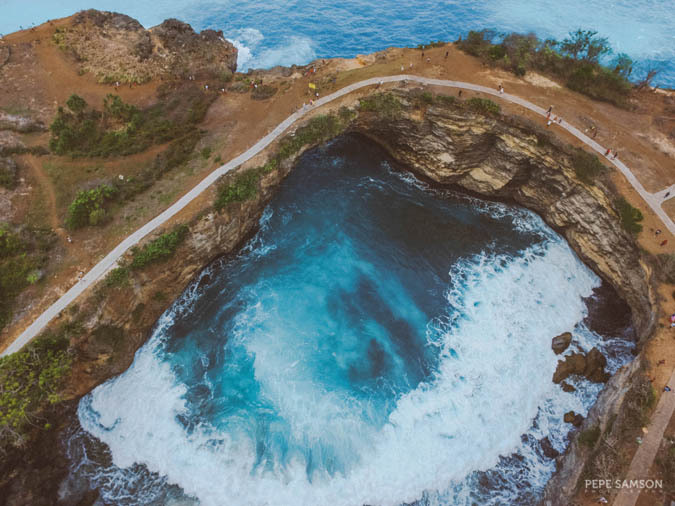 While Nusa Penida is not exactly in Bali, its accessibility makes it an easy side trip. 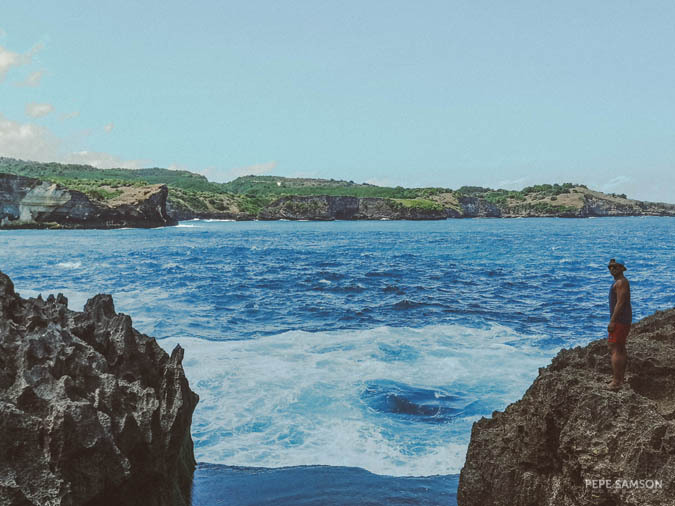 For those of you who are planning to visit this breathtaking island, I have come up with this guide for you—hopefully you find the information and tips here beneficial for your trip! Happy travels! 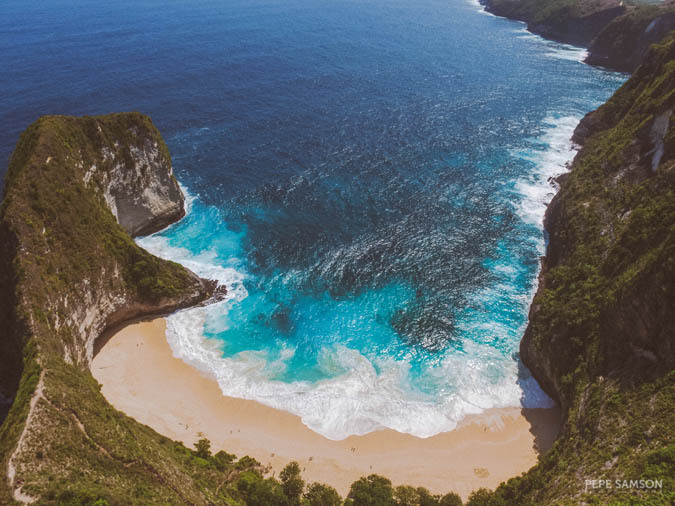 If you’re looking for an untouched piece of nature, Nusa Penida is the perfect place to go to. Since we had only 7 days in Bali, we only managed to do a day trip. Given the choice and the time, however, I would’ve wanted to spend a couple of nights there: wake up to nice sunrise sessions and witness its famous gorgeous sunsets. In addition, the island is so big—you can’t see everything in a day. 1 | Think twice if you’re planning to go with children or elderly people (I would not recommend it). The drive is terribly rough and exhausting, the attractions unsafe. 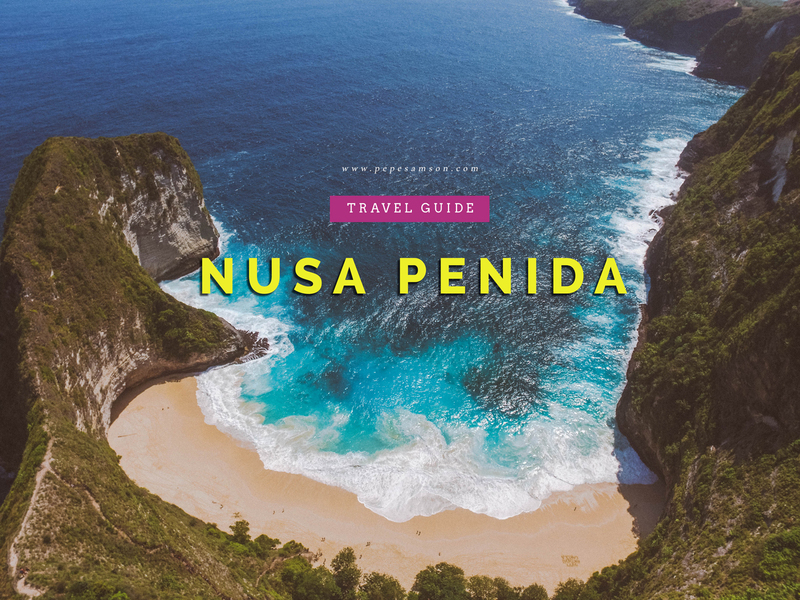 Nusa Penida is not something I would call “family-friendly”. 2 | Swim only if you’re an experienced swimmer. Take the scooter only if you’re an experienced rider—otherwise, book a tour like we did. 3 | Check the weather forecast. If you’re staying for a few days in Bali and you have a tight itinerary, make sure you have contingency plans in case it rains and your tour gets cancelled. They say the best time to visit is from April to October—when it’s not rainy! 4 | Safety first. Yes, you will get a thousand likes with your daredevil cliff photos, but make sure you’re still alive to see those likes, LOL. From Bali, the cheapest way to get to Nusa Penida is to go to Sanur beach and catch a traditional public boat. 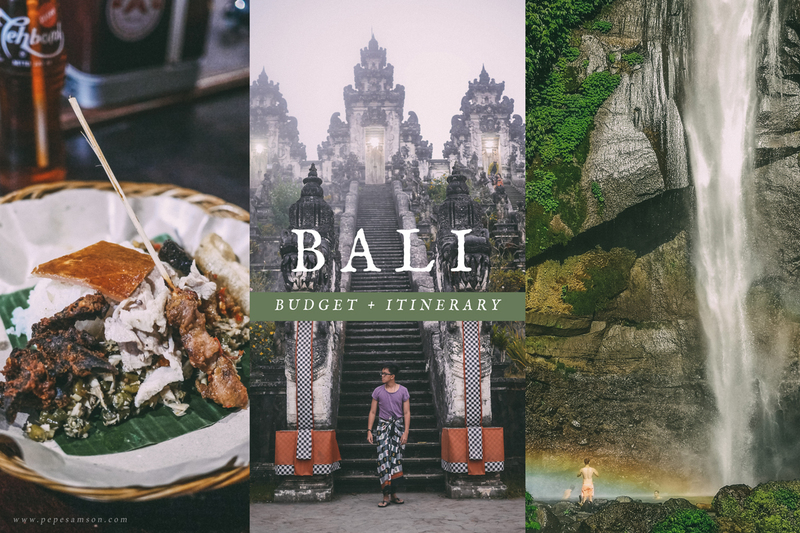 Sanur is near Denpasar and Seminyak—so you might want to plan accordingly if you’re staying somewhere farther, like Ubud or Nusa Dua. Take note that unless you’re riding a scooter around Bali, you need to charter a private car to get to places (read my Bali travel guide here). The boat ride itself takes about 90 minutes. Alternatively, if you wish to get there more quickly, you can take a speedboat which is a bit more expensive. We reached Nusa Penida in 40 minutes. However, what we did was to book a packaged tour from Liburan Bali, which we saw from Jackson Groves’ blog. 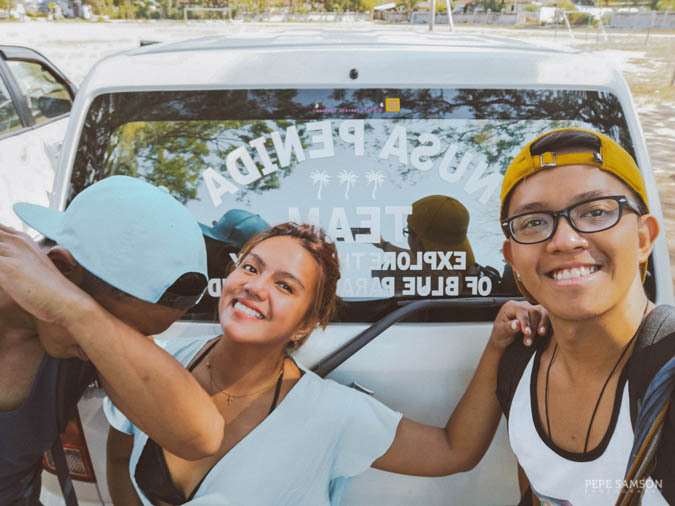 If you get a tour with Liburan, you don’t need to worry about getting to Sanur port as your designated driver will pick you up from your hotel and take you to there. Be sure to be ready by around 6:30AM to 7:00AM—the time depends on the location of your hotel. 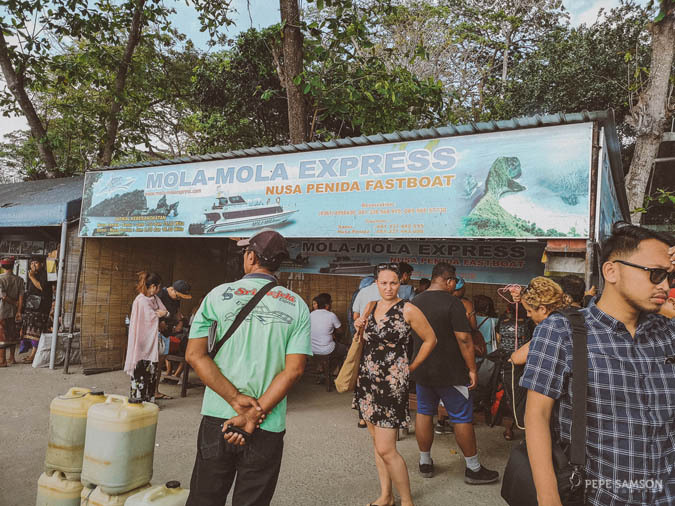 From Sanur, look for the Mola Mola Express ticket booth to claim your IDs (make sure you have the proof of payment with you), and wait for your boat schedule. Usually, the boats leave between 8:00AM and 8:30AM. The tour lasts for 8 to 9 hours, so departure time will not be later than that. 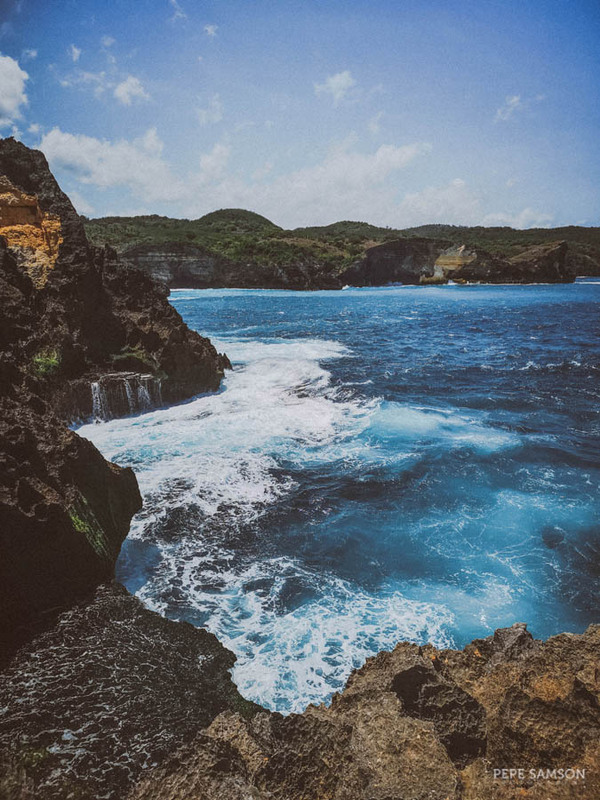 After a 40-minute ride, another driver will pick you up from the Nusa Penida port and take you to your van. Take note that this a private group tour, so you wouldn’t be sharing the van with others. Unless you prefer going around via motorcycle, you really need to rent a private car because the island’s attractions are difficult to reach and are far away from each other. We took the West Nusa Penida tour which costs $55/head if you are a group of three. Prices go lower as the number of persons in your group increase (i.e. $45/head for a group of 6). I think the price is OK since two-way boat transfers alone cost $45—for extra ten bucks, we enjoyed hotel transfers and a private van within the island. The attractions of the island are grouped into three, according to their location—West, East, and South. Tour packages are designed accordingly. It’s impossible to see everything in a day; in fact, you need at least 3 days if you want to visit all regions. West Nusa Penida is the most popular among the three, probably because it features the iconic dinosaur-shaped landscape of Kelingking Beach. Being my first time in Bali, I chose to take this tour, but let me tell you that I almost went for the East tour. I didn’t regret my decision though because all the places we went to were amazing! 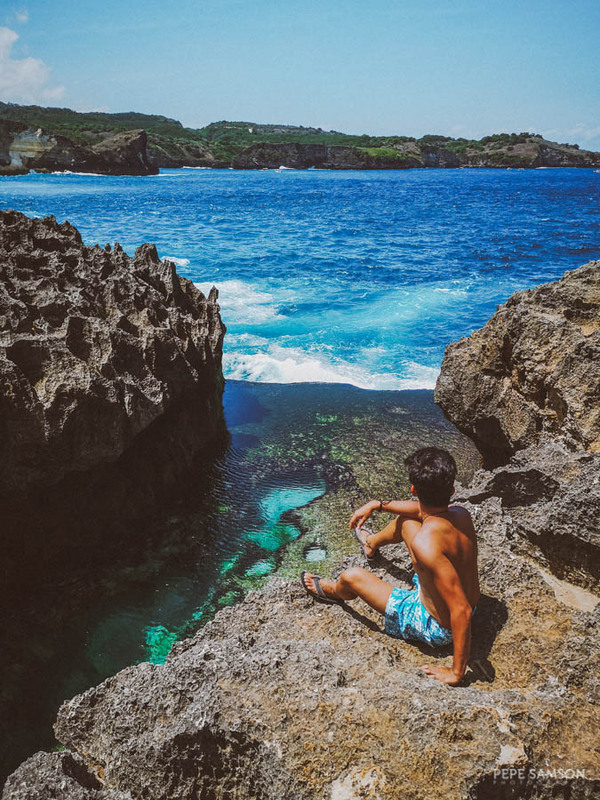 Angel’s Billabong is a natural tide pool situated in Southwest Nusa Penida. With its picturesque rock formations, limestone walls, and insanely blue waters, it’s definitely a striking sight to behold. When the tide is low and the waves are not that strong, travelers can actually wade in the pool. However, extra caution is advised as huge waves can suddenly appear without warning and sweep you off the edge—and into the sea! If you’re not a great swimmer, don’t even attempt. Just a short trek from Angel’s Billabong is Broken Beach, probably the most beautiful cove I’ve ever seen. It was formed by centuries of strong waves repeatedly hitting the rock wall, creating a hole—where the water now passes in and out. It’s beautiful whatever angle you look at it from—directly in front of the arch (a popular spot for photos), or up above, using a drone (luckily I brought mine). Mother Nature is such an artist! 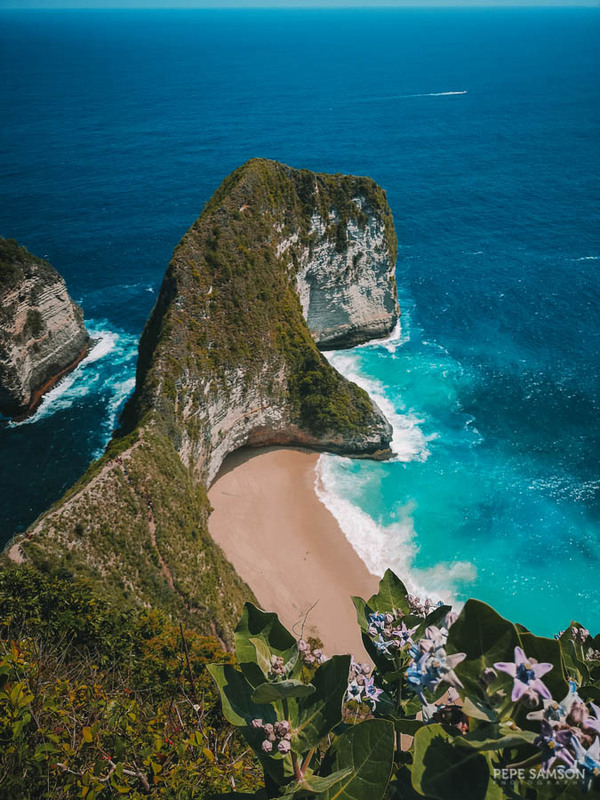 Probably the most photographed place in Nusa Penida (or maybe even in all of Bali), Kelingking Beach boasts of the infamous T-Rex, a dinosaur-shaped cliff which actually has a pathway down to the beach itself! 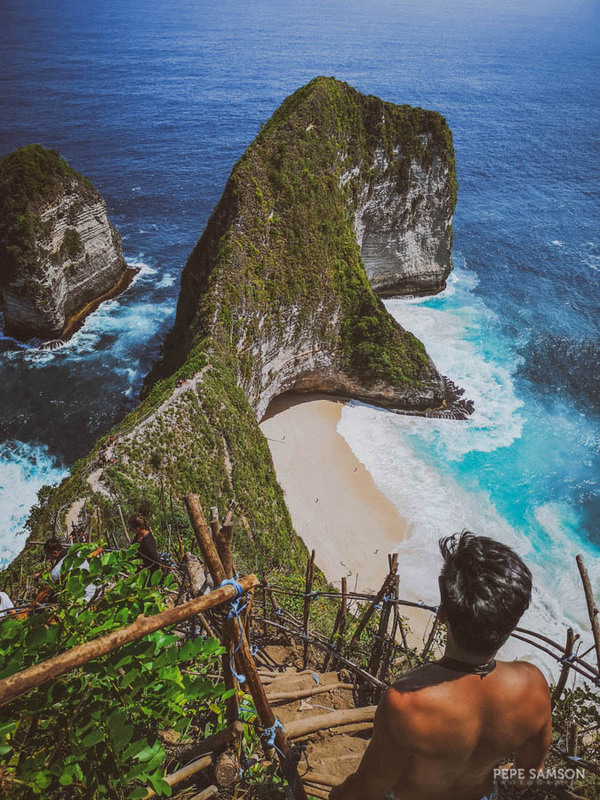 If you’re visiting Nusa Penida, I am guessing that this spot is the reason. And who wouldn’t want to see this place? It’s simply stunning. No, it’s breathtaking! The water is insane. The cliff is so beautiful, like a perfectly molded green sculpture. 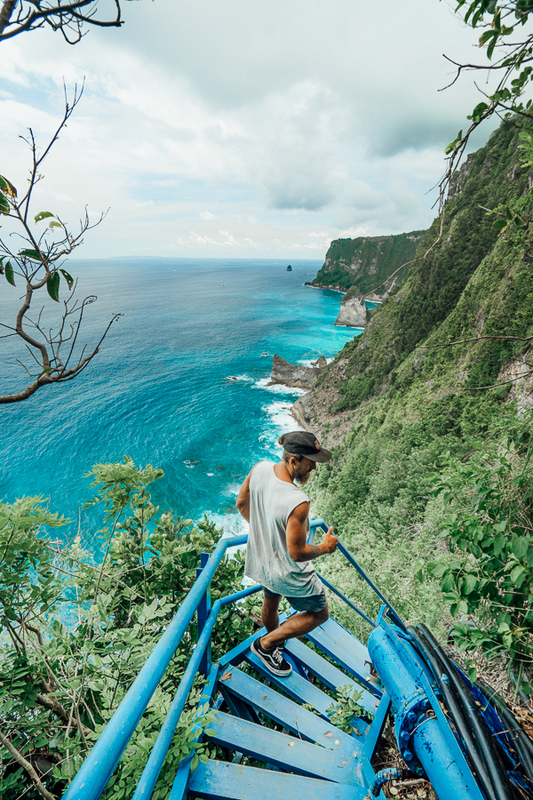 You may try to go down to the beach, but you have to be careful unless you want to plummet 200 meters below. The pathway, I must say, is not that safe, with only bamboo and tree branches tied together as handrails. I was about a quarter (maybe an eighth? LOL) of the way when I realized that if someone slipped and I was below him/her, I could easily die too. So I made my way back up and just used my drone. Haha! 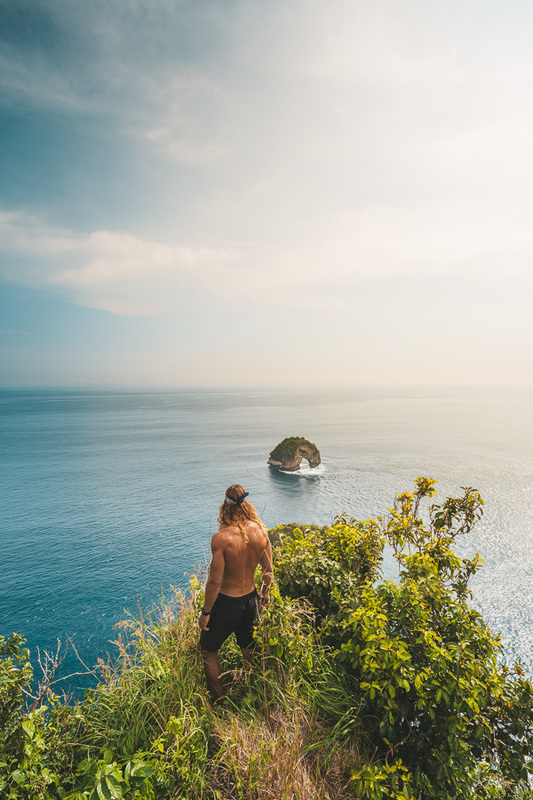 If you do manage to get down though, you will be rewarded with an isolated beach and a chance to see some manta rays up close. 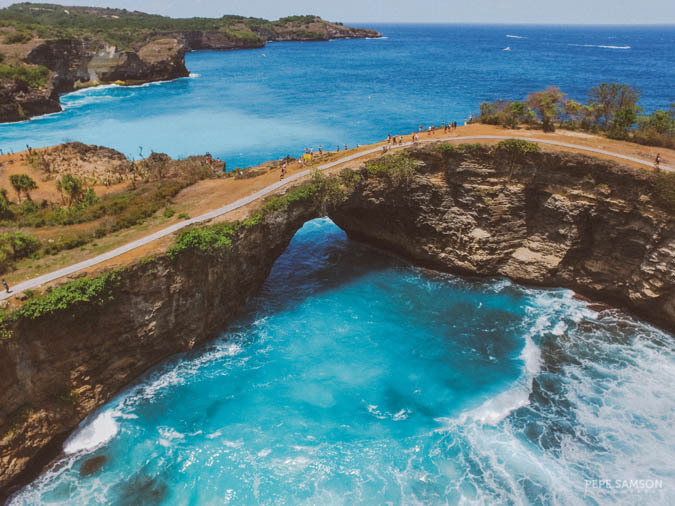 Crystal Bay is the final stop of the West Nusa Penida tour. Here, you can choose to go into the water or simply relax on the shore, like I did. 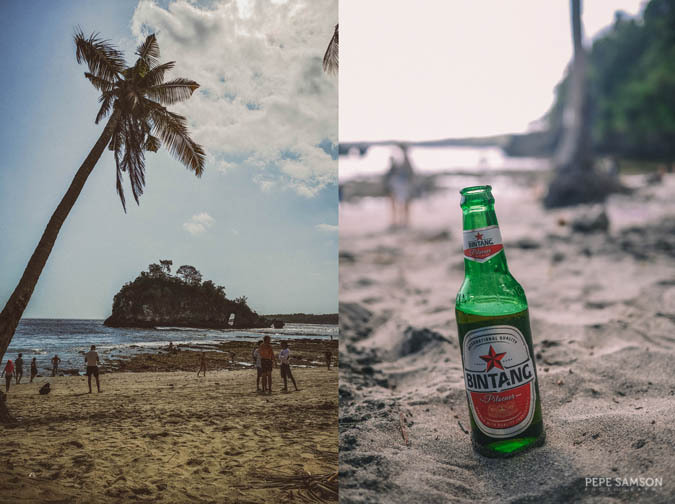 You can set up your beach blanket and sunbathe or sit in one of the bean bags and order some beer from the nearby warung. If you still have energy, however, go and do some snorkeling and diving—Crystal Bay is known for its beautiful corals and exotic marine life. I haven’t been to this part of the island, but I have listed down the attractions included in Liburan Bali’s East tour. 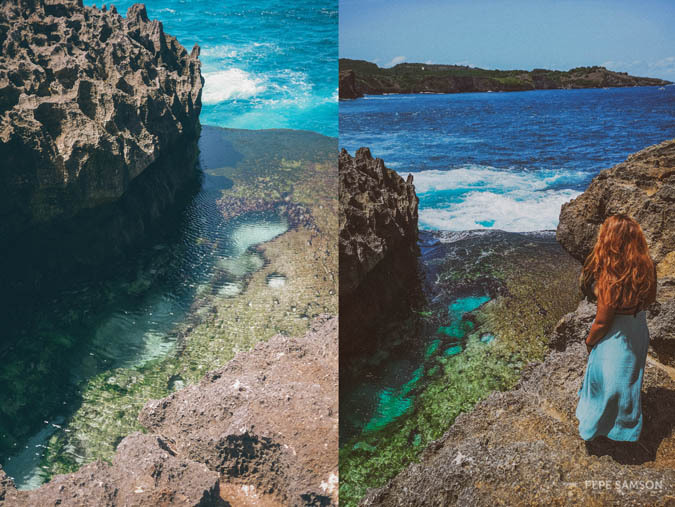 They all look so breathtaking—I’m definitely coming back to Nusa Penida for these. 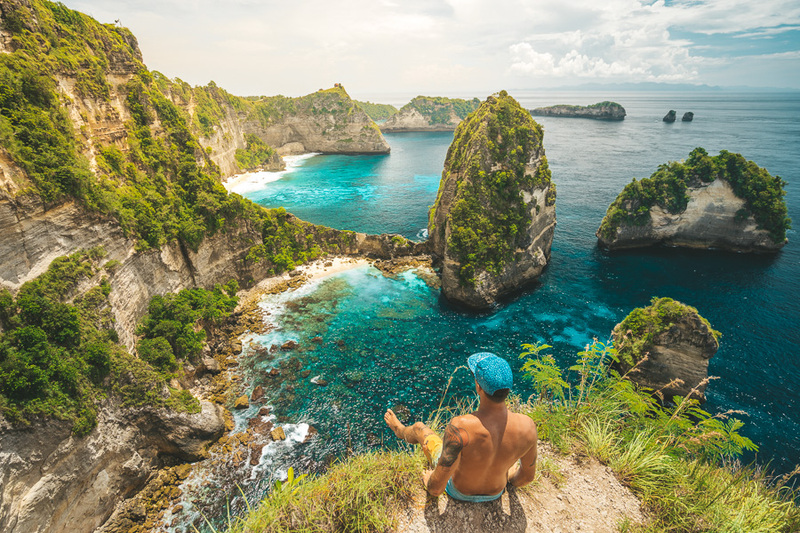 • Book your Nusa Penida tour here. It isn't called Island of the Gods for nothing. 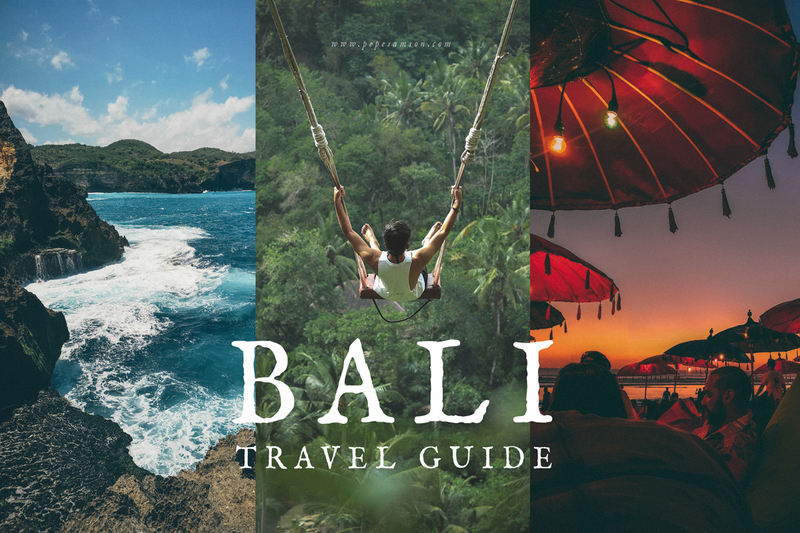 Explore Bali in 7 days! Have you been Indonesia? 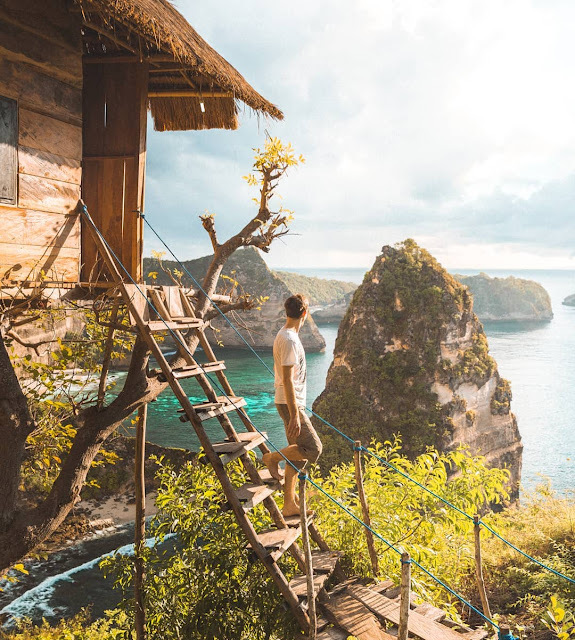 What did you think about Nusa Penida?